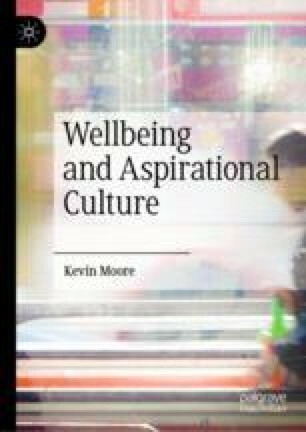 Moore aims in this chapter to come to an overall assessment of the extent to which aspirational cultures can support wellbeing. He considers a number of possible ways in which such cultures might seem to support wellbeing including support for goal-oriented behaviour, needs for autonomy and competence, the experience of engagement in activities, and the expression of the ‘true’ and authentic self. Moore discusses research that suggests aspirational cultures might encourage these behaviours but concludes that, in each case, aspirational culture has the overall effect of undermining or minimising these characteristics of wellbeing.